This weekend, renowned mezzo-soprano and Iowa native Katharine Goeldner will play the titular character in Georges Bizet’s classic opera Carmen. This production is presented by The Opera Project Des Moines, a local organization that gives “opera-tunities” for local students to perform on the operatic stage alongside professional singers. 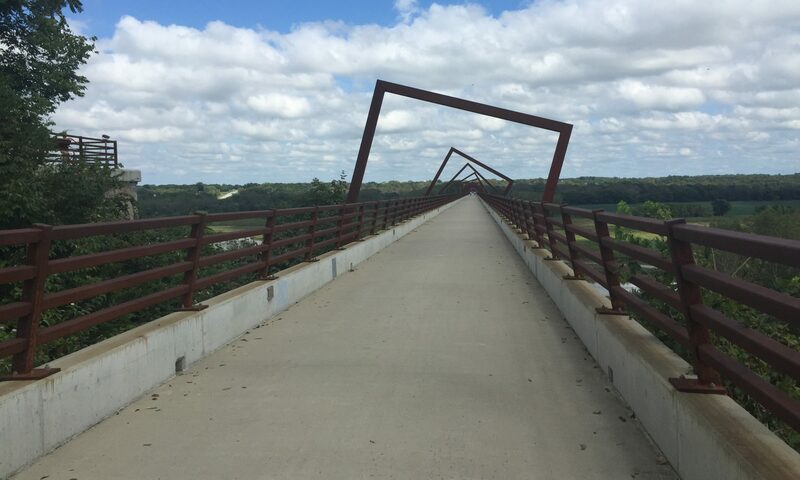 Goeldner was born and raised in Sigourney, Iowa, and completed her undergraduate studies at the University of Iowa. She now lives in Salzburg, Austria, but considers Iowa home and loves performing here (she is also singing Mahler’s Symphony No. 3 with Orchestra Iowa while she’s in town). She has risen to perform on the great stages of North America and Europe, including New York’s Metropolitan Opera. Goeldner is no stranger to Carmen, having sung the role with Finland’s Savonlinna Festival, Lyric Opera of Chicago, Madison Opera, and the New York City Opera. She is one of this generation’s most accomplished mezzo-sopranos, and her years of professional experience shine through on stage. The Opera Project Des Moines works to “provide educational and performance opportunities for talented local students, while making opera accessible and relevant in the greater Des Moines community.” This is The Opera Project’s third year running, they presented Cavalleria Rusticana last year and Suor Angelica in 2016. Dozens of students, including many from Drake University, are singing alongside Goeldner in the large production. Having the opportunity to sing with such a star is perhaps the greatest educational tool of all, as there is a great deal to be learned from watching a seasoned singer perform. It’s not just the vocal technique, but also the stage presence, character development, acting chops, and high level of professionalism that Goeldner brings to the stage. Carmen is a story of love, lust, intrigue, and mystery, so it’s no wonder that the opera is one of the most popular ever written and is staged around the world by major companies every season. It is easily accessible to first-time operagoers because the music is familiar and the story is engaging and universal. 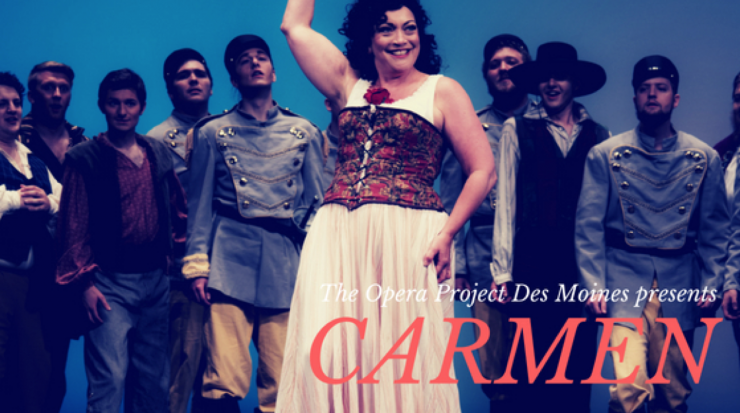 According to Gloria Olson, The Opera Project’s Artistic Director, Carmen is “a great way to introduce opera to young people. Familiar melodies, amazing costumes, stunning music, and beautiful singing!” Olson believes that Carmen is perfect for any occasion and is suitable for all ages. Opera is an art form that may seem unapproachable and antiquated to some, but in reality, it is a beautiful expression of artistry and music. Let Carmen break the ice! A classic like this is sure to make anyone into an opera fanatic! Don’t miss this phenomenal production! Carmen will be on stage at the Staplin Performing Arts Center at Valley High School Sunday June 3rd at 2 P.M. and 7 P.M. and Monday June 4th at 7 P.M. Katharine Goeldner will sing the title role at the evening performances, with Drake junior Erin Besser singing the Sunday matinee. The best part of all? All performances are free and open to the public! No reservation or ticket is required. Be sure to share this post with all of your friends, so all can experience the joy of beautiful music right here in Des Moines! Previous PostPrevious Did You Know Your Neighbor is World Class?